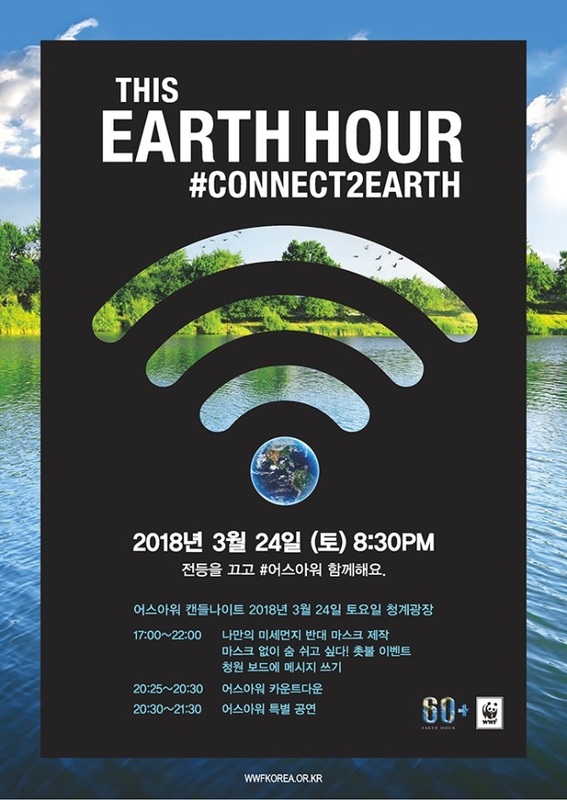 The World Wide Fund for Nature, an international nongovernmental organization dedicated to conservation activities, is set to hold its annual Earth Hour event in Seoul on Saturday evening to spread awareness of global warming. Held collectively in major cities around the globe, Earth Hour is a worldwide event during which participants turn off the lights for an hour starting at 8:30 p.m. The event in Seoul is to be held at Cheonggye Plaza starting at 5 p.m. Saturday under the theme “Candle Night,” with over 1,000 people expected to participate. Various side events and performances related to raising awareness for the environment -- such as making masks and writing messages on boards -- will be held there, and particular attention will be paid to the dangers of fine dust particles and yellow dust in Korea. Participants can share information about the places where they will switch off lights at www.earthhourkorea.org. They can also post photos with the hashtag #earthhour on their social media accounts. Earth Hour started in Australia in 2007, and has since spread to other cities with the involvement of governments, companies and citizens. Last year, 187 countries and 120,000 major landmark buildings took part in Earth Hour. In Korea, Namsan Seoul Tower, Seoul City Hall and Busan Cinema Center, among others, switched off their lights. On Saturday, among those taking part in the event will be the National Assembly building, Seoul City Hall, Namsan Seoul Tower, Sebitseom and 63 Building.